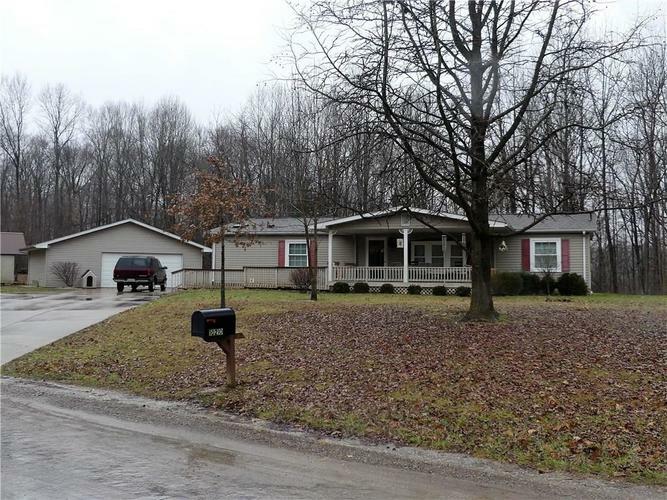 Come see this charming ranch situated on 3+ acres of breathtaking quiet wooded property. This 3 bedroom, 2 bathroom home will give you over 1600 sq ft of generous space with that open concept we all love. Whether you like to work on cars, wood-working, or just want your own space, you will love the spacious two-car garage and workshop. If you love to cook, this kitchen will not disappoint. Walk-in pantry, island and cabinet space galore. Wake up each morning to awe-inspiring sunrises and drift off to sleep each night with the tranquil sounds of nature. Get out of the city and see what country life is all about. Directions:From 231 turn onto E Robert Weist Ave and go west for 3.3 miles and turn right on 675 E. House is on the right. Look for RE/MAX Cornerstone sign.